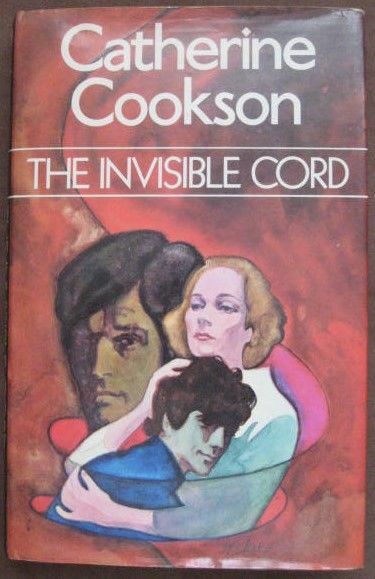 First edition, first print hardback of THE INVISIBLE CORD by Catherine Cookson and published by Heinemann in 1975. 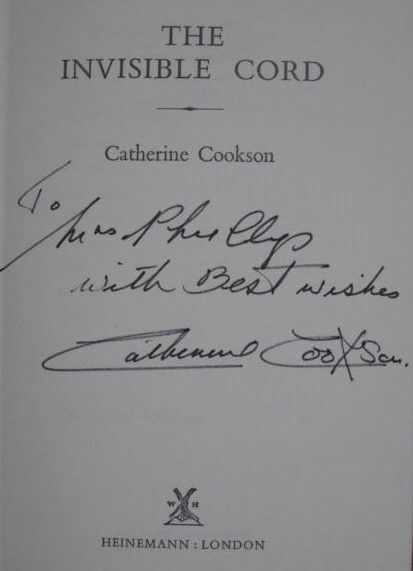 Signed with a personal message to a previous owner by Cookson on the title page. The book is in good+ condition (orange cloth boards with gold lettering to spine) with light creasing to the top and bottom of the spine as well as age spotting to the page edges. The book is in a good+ unclipped dust jacket that has creasing to the top and bottom of the front and back covers and spine with light yellow stains to the inner flaps. Internally, the pages are clean and tight and there are no tears or other inscriptions. Spanning a period of nearly thirty years and set against a background of the Tynside towns that Catherine Cookson has made so much her own literary province, The Invisible Cord is a novel of great power and warmth that explores several different kinds of love within the framework of a strongly dynamic narrative that is wholly engrossing from first to last.